The Society of Women Engineers, or SWE for short, is an organization designed to provide a community and support to women engineers. They have nearly 30,000 members worldwide, and they host regional conferences in addition to one huge national conference featuring workshops and a career fair to provide opportunities to collegiate engineers and professional engineers within the organization. This Saturday, I had the opportunity to go to the Society of Women Engineers Region E conference in Syracuse, NY with my school’s chapter of the club. 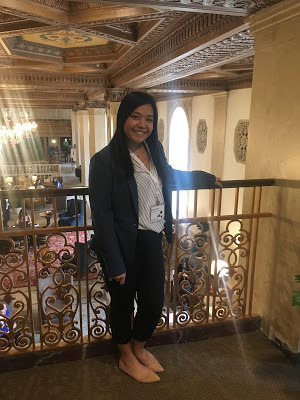 It was my first time ever attending a professional conference, and it was such a great experience! I woke up at 2:30am in order to prepare for the conference, and let me tell you, it was a struggle. 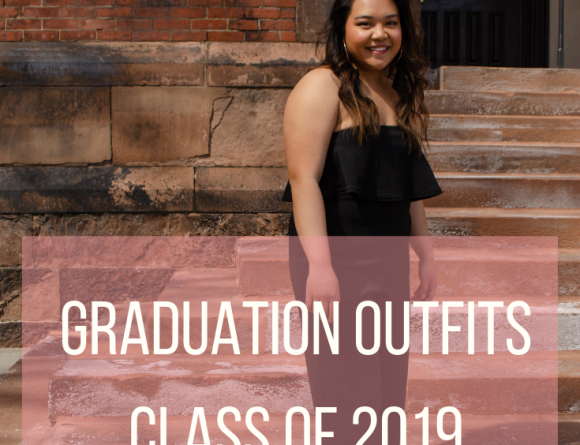 While I was getting ready for the conference, I thought about how many nights I’d gone to bed at that time after a full night of studying, and that thought was really the only thing that kept me from falling asleep while I was putting my foundation on. Syracuse is a good 4 hour drive from my home campus, so waking up that early wasn’t unwarranted, and as a result we were able to get to the hotel just in time for check-in. Once we were all checked in, we were treated to a breakfast buffet and a presentation on the state of the Society of Women Engineers, which detailed all of the initiatives that the organization has taken over the past year. 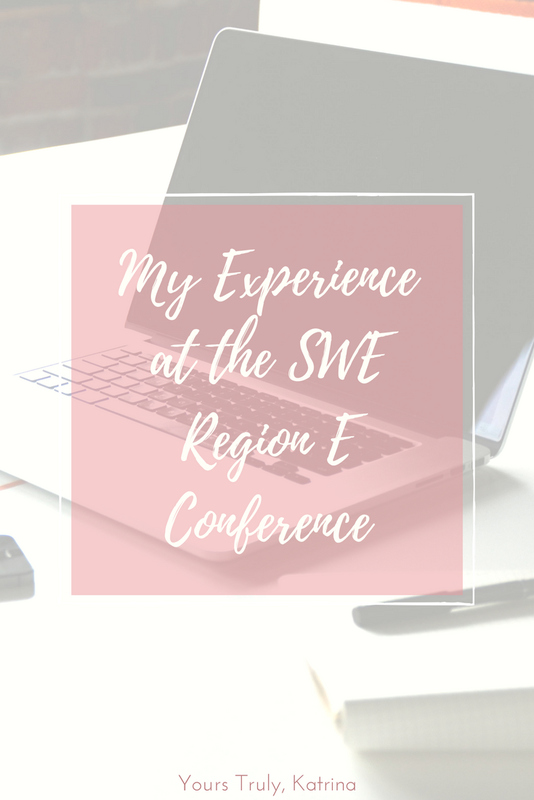 SWE is doing some really cool things, like providing opportunities for high school students interested in engineering, as well as highlighting a bunch of research projects that members are participating in at all levels. After breakfast, we were “released” to explore a little bit, and my friends and I had so much fun going around the hotel and exploring. 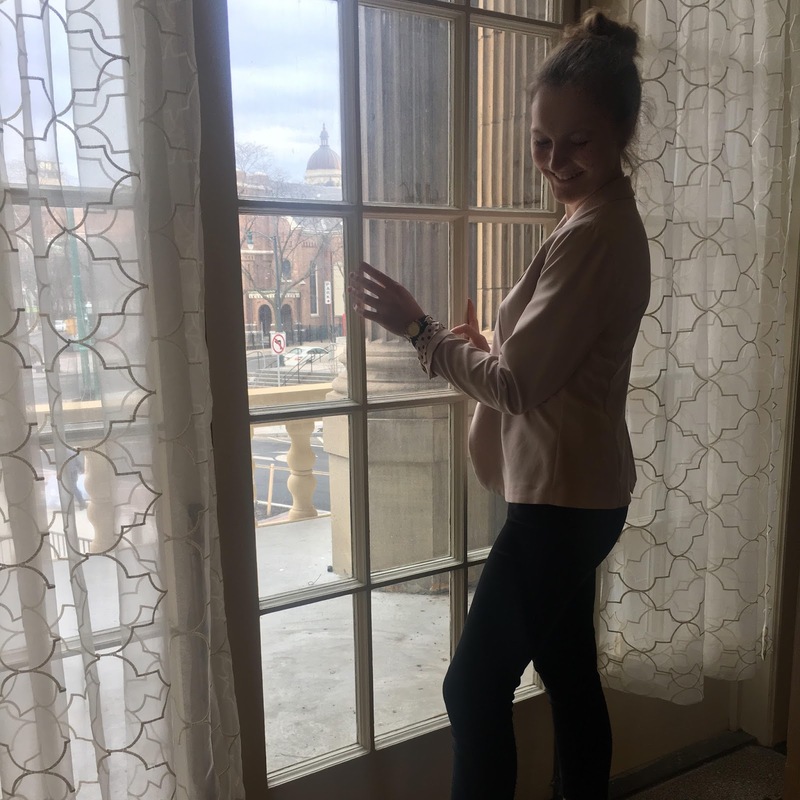 I’m no architecture major, but I hold a strong appreciation for beautiful buildings, and the Marriott Syracuse Downtown was gorgeous; the ceilings were golden and so intricate, and there were so many big windows that made the light trickle in nicely. It was perfect for a mini photo-shoot, and we definitely took advantage of that opportunity! The conference consists of workshops and a career fair, so after we were finished walking around the hotel I walked around the career fair for a little bit. It was sort of small, but I had the opportunity to talk to graduate schools, which I was really thankful for. Once I made my rounds, I stopped by a table that was offering free headshots and got some new LinkedIn profile pictures, which I was super excited about. Next up were the workshops, which were by far my favorite part of the conference. The first workshop was called Women in Engineering, where we heard the stories of a panel of women at various points in their professional careers. They also offered advice to us, from picking a good time for grad school to dealing with the gender gap in the workplace. It was great to finally hear from the perspective of women who are currently in the field, and I gained a lot of valuable information from the short session. 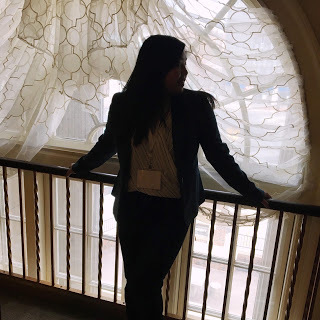 My next favorite workshop was one called The Path to Graduate School, and even though going to graduate school immediately wasn’t always in my plans, it helped me better understand the grad school process and open up my options for when I do graduate in two years. I don’t know exactly where I’ll be after graduation, but at least now I know where I could be, and that’s all that I really need right now! For more information on SWE, you can check the website here! Have you ever been to a professional conference before? What was your experience like? 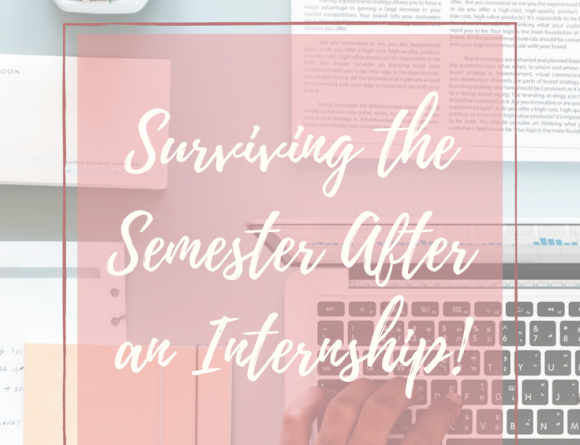 Surviving the Semester After an Internship! 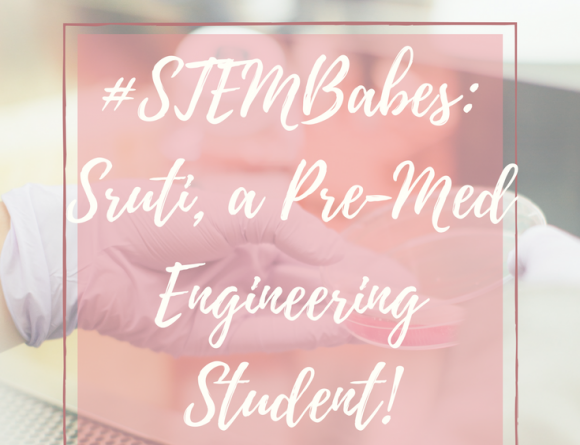 #STEMBabes: Meet Sruti, a Pre-Med Engineering Student!